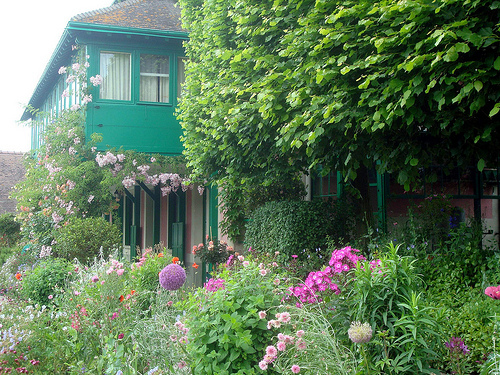 Giverny…….. a quaint little village in France where artist Claude Monet made his home and grew his amazing gardens. 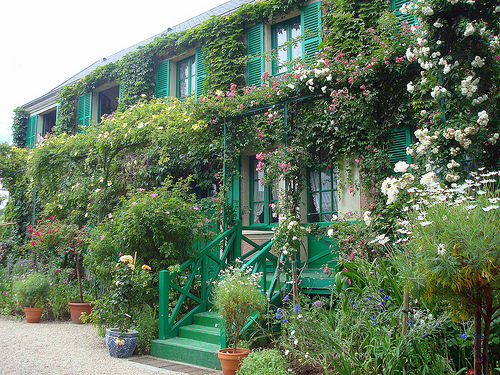 And inspiration for my newest block-of-the-month called “A Day in Giverny”. When I first saw the beautiful fabric from French General called Chateau Rouge I knew just what I wanted my new BOM to look like. The BOM is worked for 6-months, sewing two of the same block each month for a total of 12 block. The main color of each set of blocks is one of the beautiful creams and the background is one of the reds. It’s the opposite of what most people are used to sewing but I think that is what gives it such a beautiful and unique look. I find that sewing 2 blocks each month is very do-able for even the busiest of people. I really enjoy designing projects that people can keep up with or finish in a short amount of time. I find that it gives them a big sense of accomplishment. Who doesn’t like that! And with Autumn right around the corner, it’s that time of year that I finish up a new batch of pattern for Fall Market. I have several new patterns along with 2 new books that will be released soon. One book features embroidery for all you stitchery lovers and the other is a book on bags. I am a MAJOR bag lady (And very proud of it!) I just never seem to have enough, so I thought I needed to design a book full of bag patterns for all of you that love bags as much as I do. I wish I could tell you more but it’s still hush-hush around here. I will post all the new goodies on my blog Little Bits of This & That as soon as they are ready…..hope you will join me there! Now a little Q & A about me…..
What is your one guilty pleasure in life? That is really a hard question! To pick just one!?! I would have to say that it would be going to a yarn shop, finding that perfect skein of yarn, knowing exactly what I want to make with it….and not caring what it costs. Knitting is my newest hobby and I love the challenge of learning something new. And of course if yarn or fabric is included in that hobby it’s even better. Where do you do your best thinking? I would have to say in my front room. I just re-decorated it in very springy colors and I love the big bay window where the morning sun comes shining in. 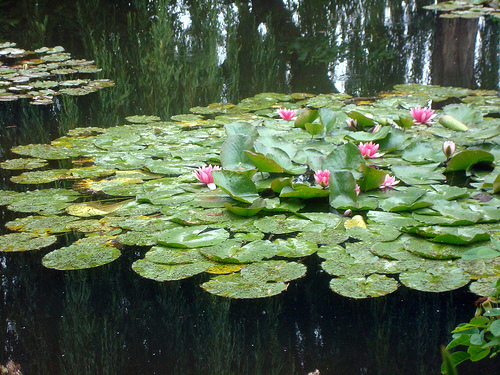 It the perfect place to plan my day and have a cup of coffee. And there is no TV which means my kids think it’s a pretty boring/quiet room. I love music…pretty much any kind of music. But right now Rascal Flatts seems to be what I am playing alot. Thanks for joining me at The Cutting Table! P.S. The Chateau Rouge fabric starts shipping to stores next month so be sure to watch for it and don’t forget to sign up for “A Day in Giverny”. so, when is this pattern available? I just love this pattern design and think i need to make one! I already bought the pattern & am waiting for my kit in the mail ! !